Wide range of supported VESA patterns. With the Sanus VXT5 wall mount you’ll notice some differences right away with just its appearance. 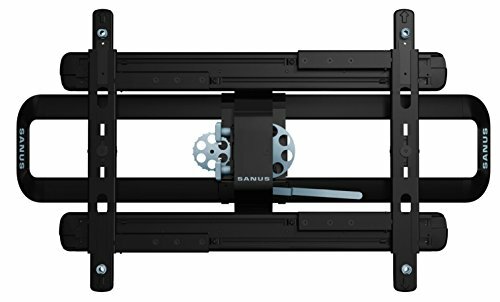 It is more robust than other models of Sanus wall mounts and this is because of one keep feature that it offers. The ability to rotate rather than just tilt or slide. This allows for a great amount of control over the wall mount when finding the best spot for it to be mounted. 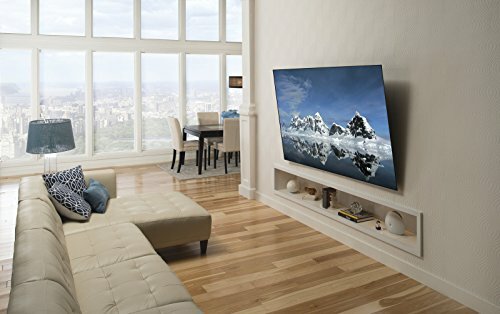 Combined with that great feature it offers a large weight coverage and a very large range of sizes of TVs it can support. It is also well priced considering all it can do for just a tilting wall mount. At this point things could not be easier, unless you had some one come do the install for you. It’s as simple as connecting the wall mount bracket to the back of the TV. This will include the proper VESA pattern and the rolling piece of the wall mount. Then you mount the wall plate to the wall in the position you see best. A level helps a bunch during this step. Then lastly, connect the wall mount bracket to the wall plate. You’ll press into the bottom of the TV against the wall plate until you hear a click. Then you’re all set. 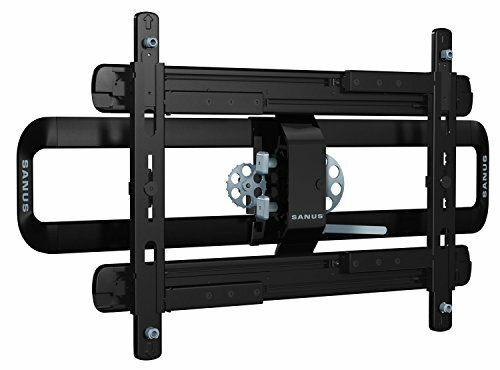 The SANUS VXT5 Wall Mount is strong and well built even when compared to the other SANUS wall mounts available. It offers some decent functionality to tilt back and forth all while supporting a huge range of VESA patterns. Great stuff here. The degree of tilt could be wider.